Hello everyone! I hope you all are doing well today and are having a wonderful weekend. 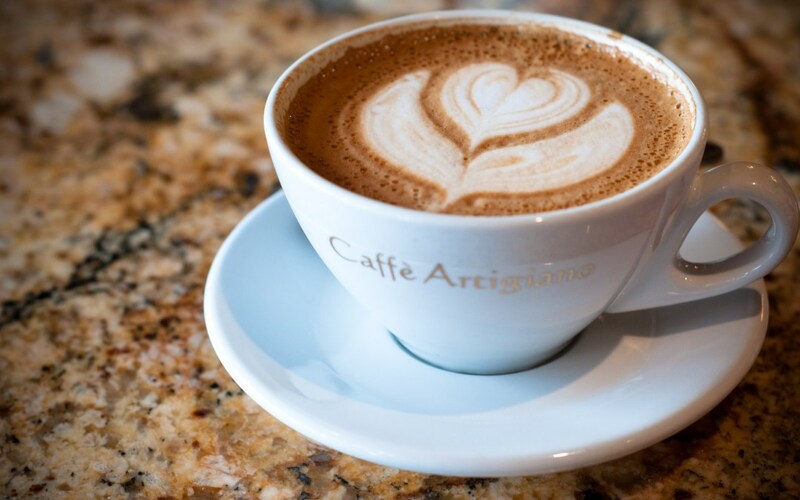 If we were having coffee, I’d tell you how this week felt like it was dragging on. I don’t know why exactly, but it felt like it was a pretty slow week for me. Maybe part of it has to do with not really doing a whole lot after getting off from work. The only activity I had outside of work was whenever I went to the mall to grab dinner with a friend Wednesday night. We went to Chick-fil-A to eat, then walked around the mall. 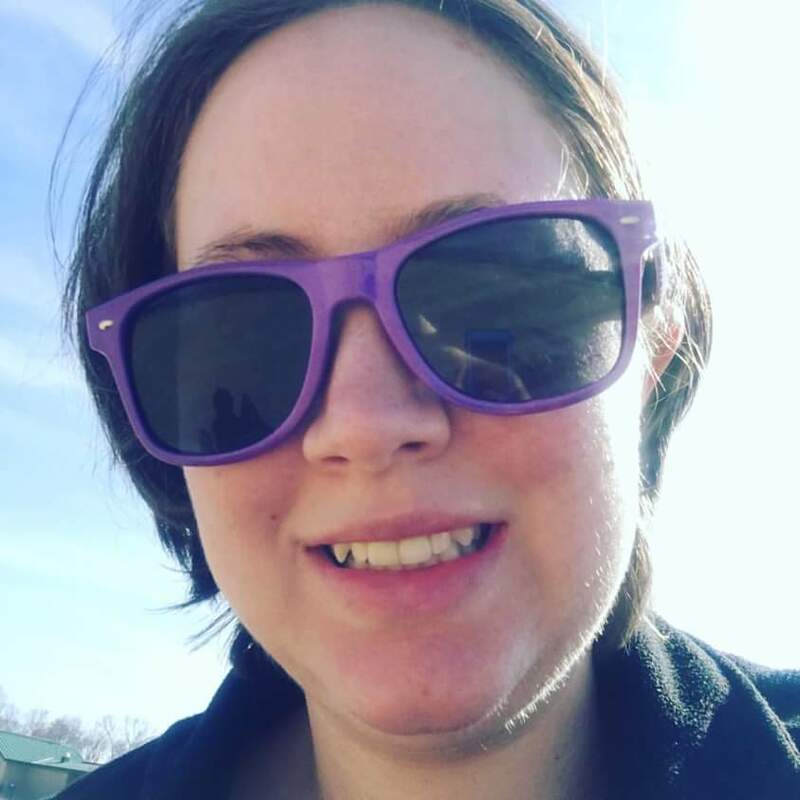 My friend and I had a good time and are planning to hang out again on Sunday and on Valentine’s Day go to a place opening in the mall called Dave & Buster’s, which I’m really looking forward to. It’s an arcade gaming place where you can have dinner, drink and play games. A place I’ve never gone to and can’t wait to see what it’ll be like. Other than that, the rest of the week has dragged on. Even at work, things haven’t been too exciting. I don’t know if I’ve mentioned this before, but we have a co-worker who’s been slacking on the job. I don’t want to get into too many of the details, but it’s been frustrating to deal with because with this co-worker, we have to give them specific instructions in order for them to do their job properly. There isn’t much else we can do about it but hope our co-worker realizes what there doing and will do the best they can to handle their responsibilities. Otherwise, I don’t know what we will do. If we were having coffee, I’d tell you my weekend plans make up for the rest of the week. 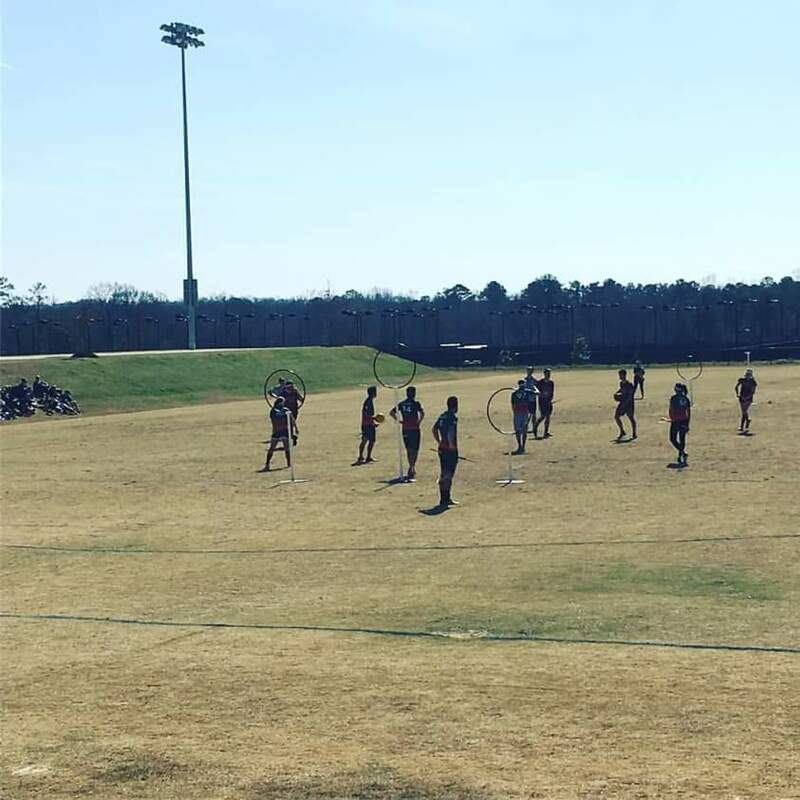 On Saturday, My Mom and I went to a South Regional Championship Quidditch tournament that took place at a park a couple minutes away from my house. We went there with some friends of my Mom. For those unfamiliar with Quidditch, it is a sport played in the Harry Potter series. A game on brooms where your team’s goal is to score more points. This can be achieved through getting a ball called the Quaffle through one of three hoops on your opponent’s side of the field. But in order to do so, your team’s Chasers have to get to the hoops your Keeper is guarding. But as a Chaser you have to be careful because each team has two Beaters whose goal is to knock the Chaser away from the Quaffle so they can’t score any points. Each team also has a Seeker, whose main focus is to catch the Golden Snitch, which gives your team 150 points and ends the match. Oh, and this sport in the series is played on broomsticks with players flying on the field. So whenever I heard about this championship from Mom’s friends, I knew I had to go to it. To see people play a sport in a series I love, to watch it come to life. And I loved it, had quite a blast. 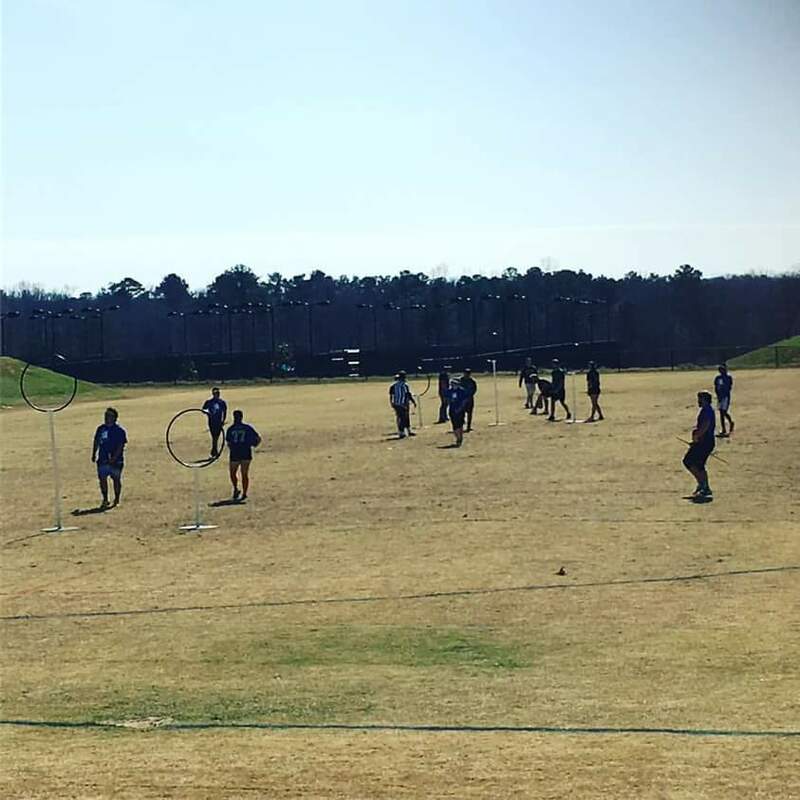 Every game was fast paced and while Quidditch in real life is different from the series, I still enjoyed it because of how much the game is accurately portrayed. Yes, the players couldn’t fly in the air on broomsticks, but it was definitely very similar to the sport I loved in the series. I really loved it because it was exactly what I expected. I figured it would be really fast paced and hard to keep up, and I wasn’t disappointed. Each game had an intensity I can’t describe. You’d have to be there to witness it with your own eyes. But it was fun, even if I had a hard time keeping track of each team and which team won the matches I enjoyed. I had no difficulty following the rules of the game though. Part of that is not only due to my knowledge of the series. 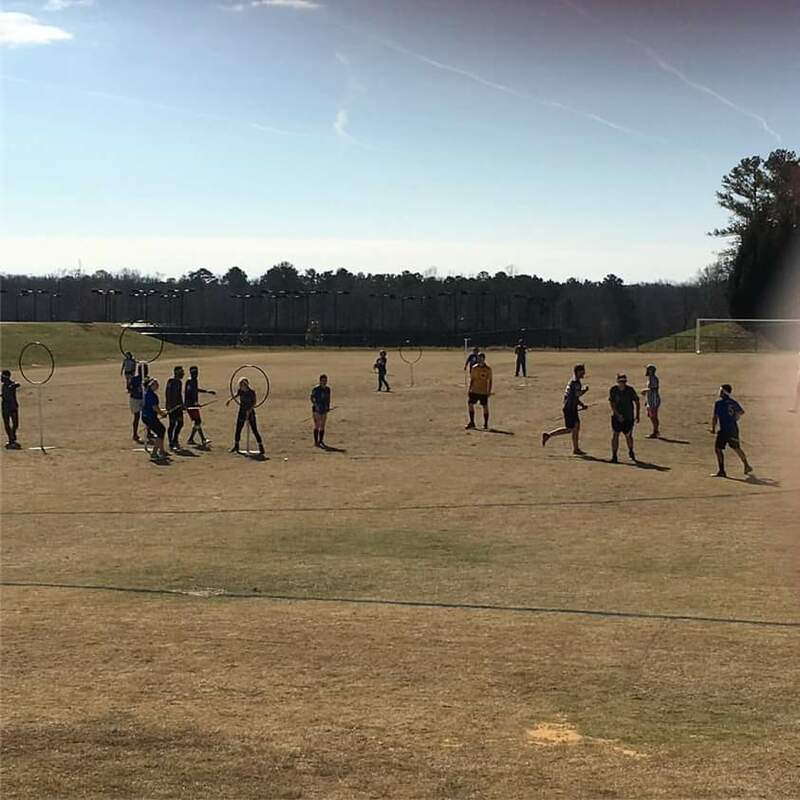 Whenever I was in college, our school had one of the local college Quidditch teams come to my school during my first year. The team explained to us the rules of the game as well as had those who were interested play it. I volunteered and was able to experience Quidditch for a brief period of time playing as a Chaser in one game, then a Beater in the next. 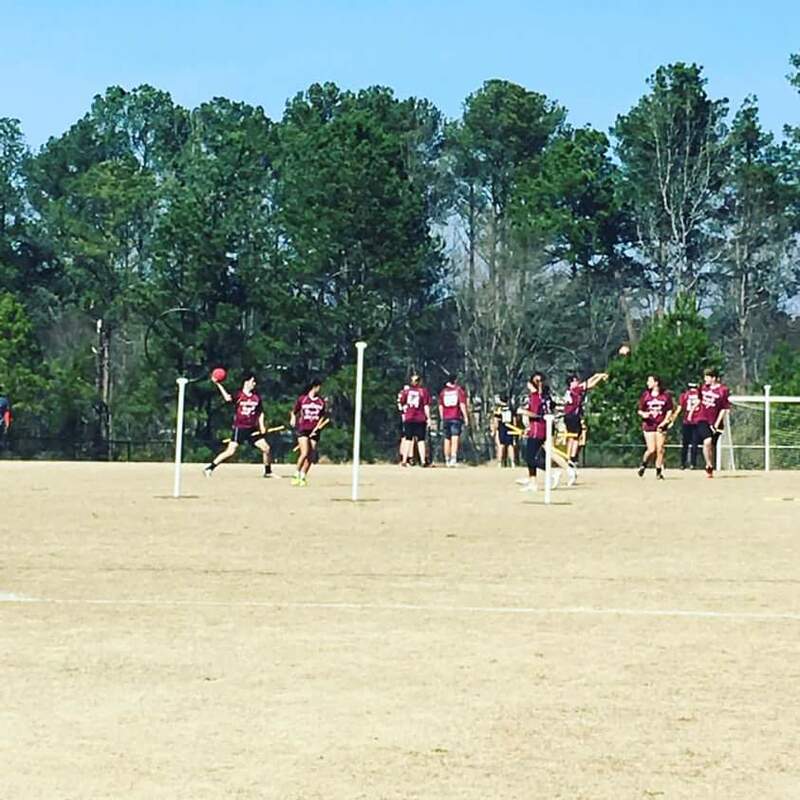 That experience made me realize how difficult Quidditch physically can be as well as made me love it even more. Anyway, enough about that. 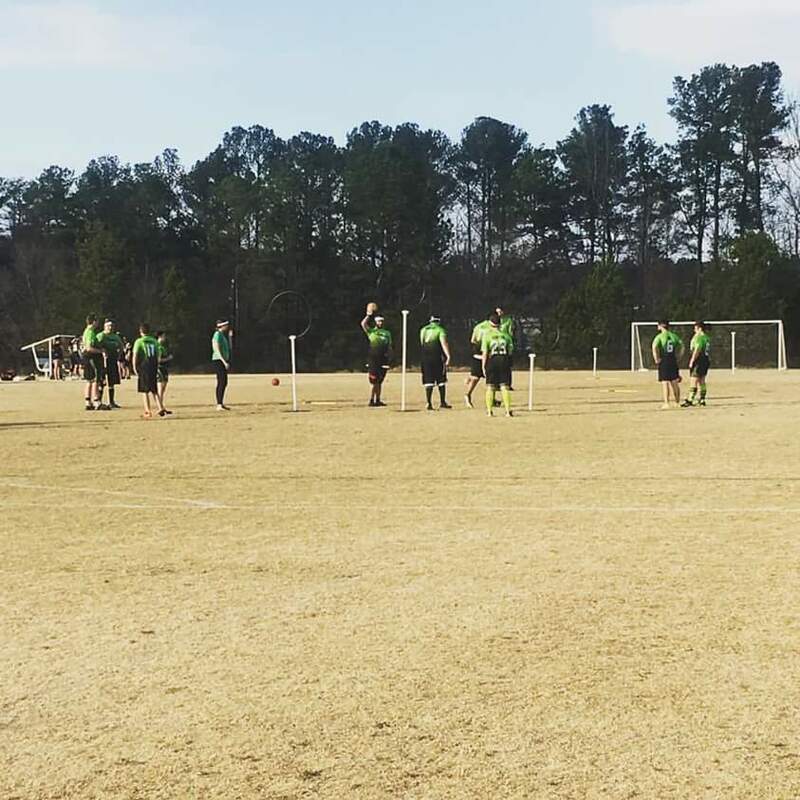 Here are some of my pictures from the Quidditch Championship I took on Saturday. One of the selfies I took at the championship. I really enjoyed these matches, even though now my face is so red I look like Rudolph the Red Nose Reindeer. I guess that’s what I get for not wearing any sunscreen. On Sunday, I’ll be hanging out with a friend, then this week will be over. I hope you all are doing well and having wonderful weekends too. Stay well friends and see you next week!